A well-considered and stringent selection benchmark for buyer participation at INDABA ensures the renowned trade show attracts only the best global buyers. A well-considered and stringent selection benchmark for buyer participation at INDABA ensures the renowned trade show attracts only the best global buyers. These are buyers who are genuinely interested in doing business with quality travel brands from the rest of the continent, are eager to showcase Africa’s appeal as a tourist destination and ultimately grow their businesses. 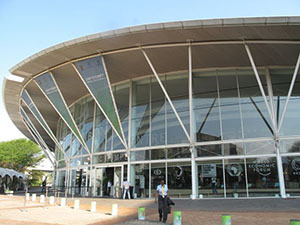 This is the view of South African Tourism, the organisers and hosts of Africa’s largest tourism gathering, INDABA, taking place from 7 to 9 May 2016 at the Inkosi Albert Luthuli International Convention Centre. Africa’s longest running travel tradeshow remains the single most focused platform bringing thousands of tourism players to converge and do business in the coastal city of Durban. The 2015 show recorded an impressive 7 704 delegates, 1 595 of whom were international buyers representing 66 countries including amongst others: Brazil, China, Germany, India, Australia, New Zealand, Italy and Germany. “Hosted buyers are selected through South African Tourism’s country offices based in the various markets worldwide. Non-hosted buyers on the other hand, attend INDABA on their own accord and on their own budget,” explains Sthembiso Dlamini, Acting CEO of South African Tourism. “Both groups of buyers are of paramount importance to INDABA which guarantees them an exceptional variety of unique destinations and tourism products to consider for inclusion in their inventory of destinations. INDABA meets these needs in its entirety by allowing for these quality business transactions to happen effectively and efficiently,” she says. For example, through the online diary and matchmaking system, buyers are able to assess beforehand the full buffet of exhibitors participating, and schedule appointments with those who meet their immediate requirements. This saves time and ensures that the right connections are made, resulting in positive business results. “INDABA is designed to facilitate business opportunities. From the floor design layout to the rewarding daily programme and quality exhibitors, this is a tradeshow that sets the benchmark globally. If you are a buyer looking for quality African tourism products and destinations, INDABA is for you. Likewise, if you are an exhibitor looking for direct engagement with global buyers and to be part of the continental team committed to putting tourism at the forefront of growth, INDABA is a must attend event for you too,” Dlamini concludes.